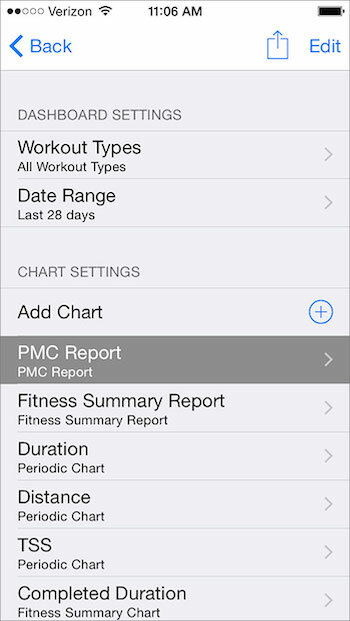 Our new mobile updates will help Premium users understand their fitness better, view their CTL ramp rate over multiple date ranges, and enable Dashboard sharing with others. The feature that you will notice first in this update is your current Fitness, Fatigue, and Form are now displayed alongside today’s workouts in the activity feed. This is not only a new feature in our mobile apps but also a change in how we talk about the Performance Management Chart metrics. Chronic Training Load (CTL) equals Fitness, Acute Training Load (ATL) equals Fatigue and Training Stress Balance (TSB) equals Form. Going forward you will start to see Fitness, Fatigue, and Form used throughout all of the TrainingPeaks products. You will sometimes hear TSB referred to as Freshness. We like to say Form because Form is something that you come in to on the day it matters most, race day. Watch this video for more information on the PMC, Fitness, Fatigue, and Form. 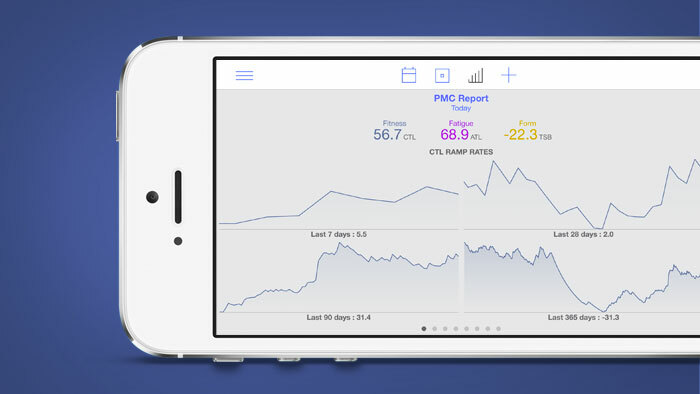 The new Dashboard PMC Report displays your Fitness, Fatigue, and Form for today; and calculates your CTL Ramp Rate over the last 7, 28, 90, and 365 days. Ramp Rate can show trends in your fitness, help you to not overtrain, show you if your fitness is ahead or behind this time last year, and help guide your taper leading up to race day. Endurance coach Joe Friel suggests a Ramp Rate of 5 to 8 per week depending on your current fitness. If you see values above that range a few weeks in a row then you may be running the risk of overtraining or burnout. You can now e-mail your customized mobile dashboard to your friends, athletes, or coach. Simply click on the chart title to enter the Settings menu, then click on the share icon in the upper right. Loading a shared Dashboard will replace all of your existing charts, we recommend backing up your Dashboard settings to the cloud first. Backing up and sharing Dashboards can be done from the Dashboard Settings Menu. 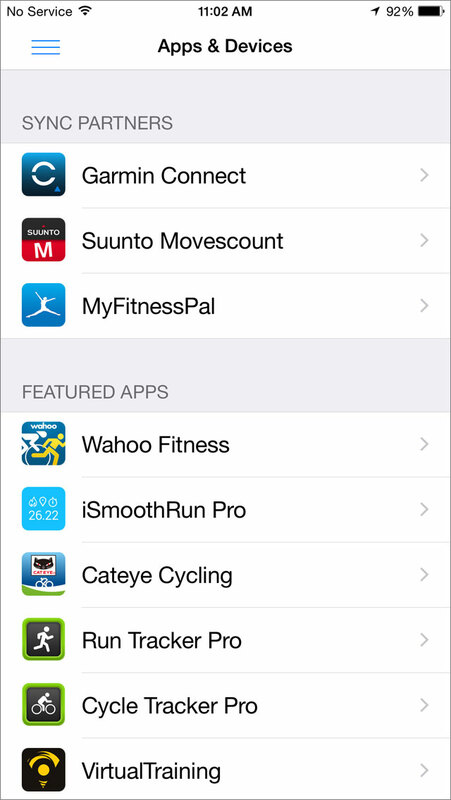 Did you know that TrainingPeaks is compatible with over 100 apps and devices? We have partnered with Garmin and Suunto to make syncing your data seamless. 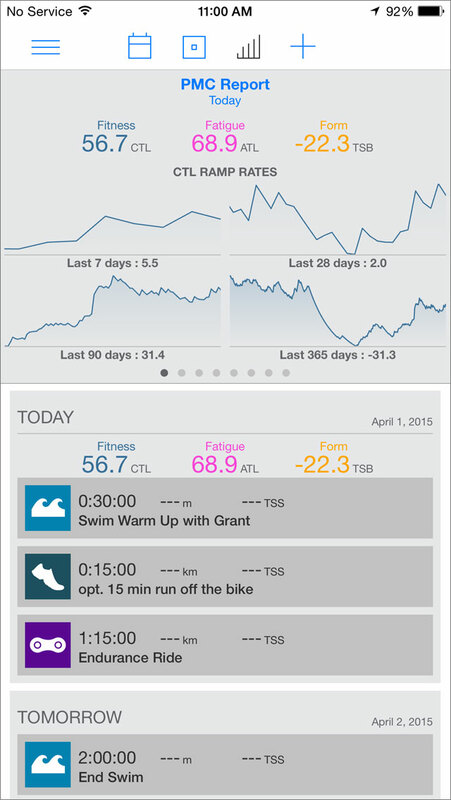 There are also many 3rd party mobile apps that upload directly to TrainingPeaks as well. We have linked to a few of our favorites in the new Apps & Devices page. Here is a complete listing of all compatible apps and devices. We are working hard to release new features frequently. Let us know what you think and what features you would like to see by submitting your suggestions here. Ben Pryhoda joined TrainingPeaks in 2009 as a Senior Software Engineer. Since then has been promoted to Director of Engineering, V.P. of Engineering, and is currently the Senior Director of Product, Device and API Integrations. A former roadie turned XTERRA triathlete, Ben uses his training time to come up with new features for TrainingPeaks users.